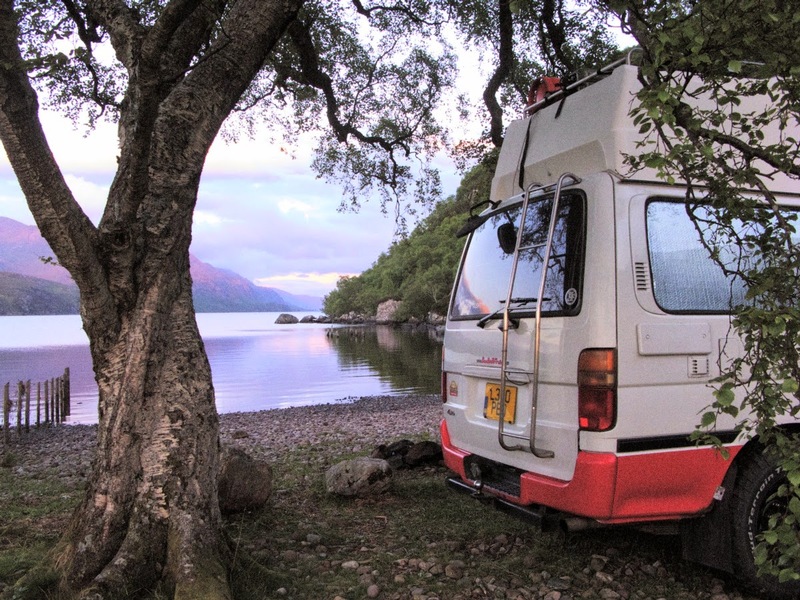 Hello friends and fellow camper vanners..
Over the past couple of months I've been out there, exploring new spots in the highlands and returning to some favourite ones as well.. Some of these where taken whilst I was out on the road with my meter reading job (now no more) and some are from places I regularly stay and make my 'home'. I want to share with you some of the beautiful places I live, and where I wake up every morning. The picture above was taken high up on the mountain pass above Upper Loch Torridon. Very steep climbs up single track road with a real sense of the vertical about it! Wonderful views all around from up here. 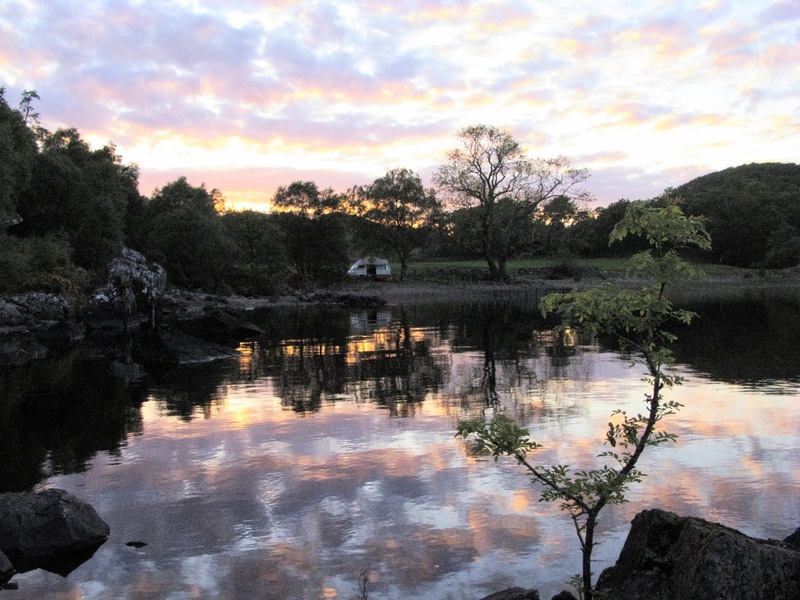 Again (above), Loch Maree, one of my favourite spots.. taking a walk along the shore as the sun sets.. When its warm this is also a great place for a swim, or just to sit around on the rocks.. 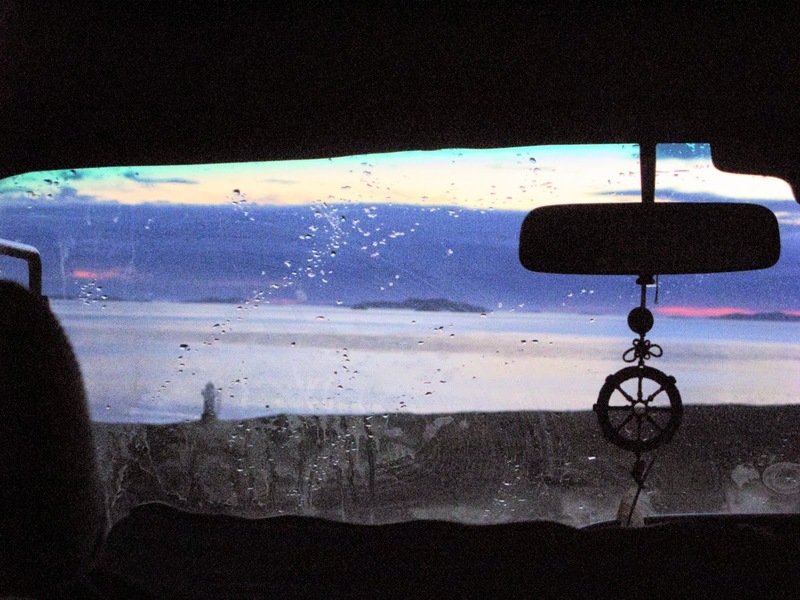 The view through my front windscreen looking out at the Summer Isles from a spot not far north of Ullapool, you can see Rhue lighthouse at the bottom left. That night I went fishing down at the rocks just beside the lighthouse, great spot into deep water. Just pulled off the side of the road to have some lunch at Achduart - whilst meter reading. 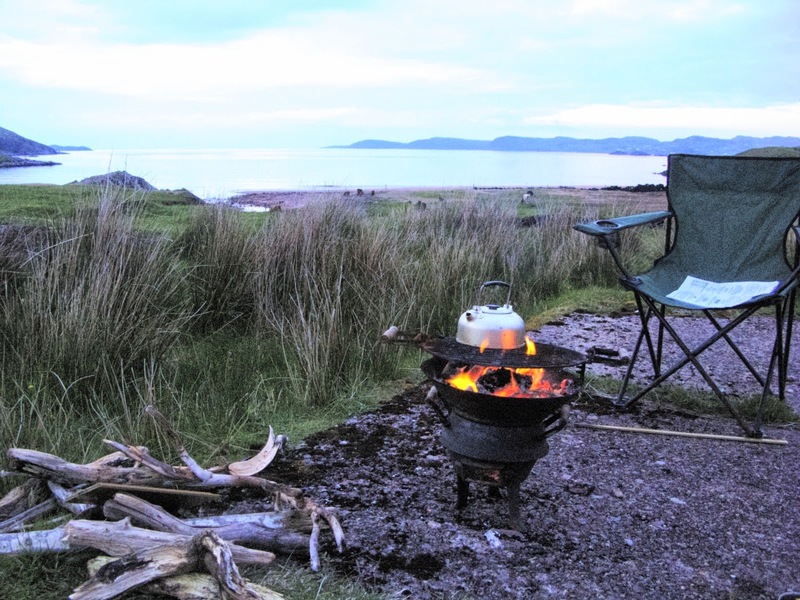 A quiet evening on the shores of Loch Ewe - time for a cuppa! Settling down for the night at the time when the day is too.. The sunsets only add to the beauty of this place. 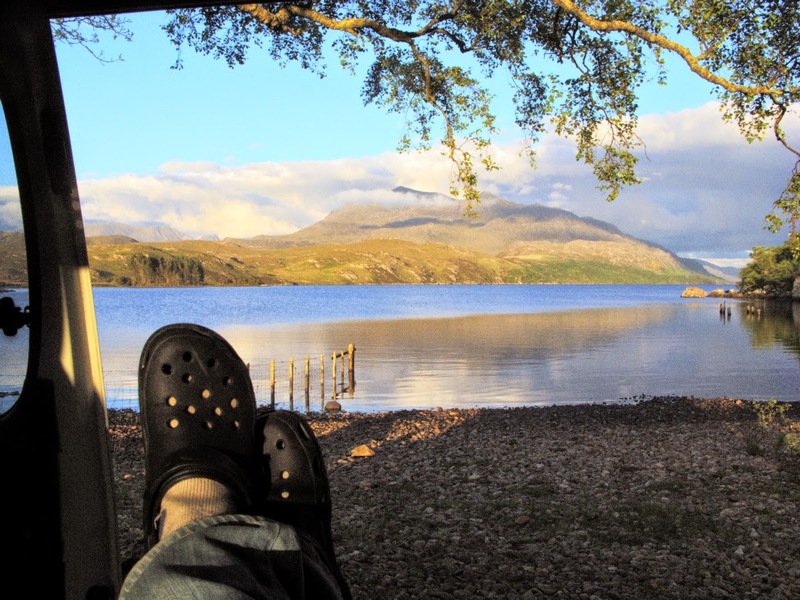 If you're going to be wild camping in the highlands, by which I mean, not staying in camp sites, and finding your own places to stop for the night with no electric hook up, mains water supply etc, here are a few useful things to know. You will actually never need to do a night at a campsite for anything. Drinking water: There are many rivers and streams (burns) from which you can get a safe fresh water supply. It tastes great, and smells great. I've been getting all my water this way this year and never had any problems. Power: If you are on the move every day then your house battery is going to be charged up each night from the drive, so no problems. If you plan to stay put for a few days or longer then a solar system is great. There are so many hours of daylight up here in the summer months that you will find your battery gets topped up nicely each day with average use. Laundry: If you are camped somewhere near a rocky river, you can put your laundry in the river with a stone to hold it in place. Put it there in the morning and leave it there a couple of hours and the river will do the work, then hang it in the sun to dry in the afternoon. The water here is very soft and sweet smelling as it comes down from the mountain lochs. The washing smells so fresh and is soft afterwards. Best to do this with dark colours only though. Bathing: Again, there is plenty of fresh water on hand for your shower, or to take a sink bath or just bathe in the streams in warmer weather. Food: Well you will have your own supplies on board of course, but there are plenty of things to make up a good part of a healthy diet available from the land & sea - I've been learning more about that this year and it will be the subject of a future post. Internet: Most hotels, bars and cafe's will have free wifi access for customers. An 02 Sim card will get you online in nearly all of Wester Ross, but you will not get full 3G so expect it to be pretty slow. Other networks generally only work in certain locations. 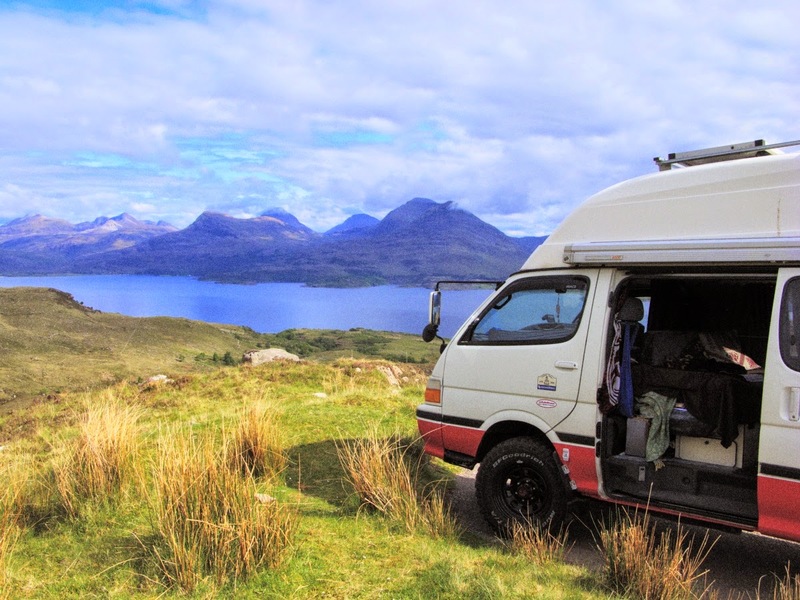 Local attitude to wild camping: This part of the highlands is that bit further north than where the majority of tourists visit, in saying that there are still plenty of campers, motorhomes, bikers and backpackers exploring the area. There are sufficient camp sites and most visitors still choose to stay in them. There are also a few crofting common grazing areas opened up to camping in summer, often for a small fee, or open to donations. However its relatively easy to find a good place to wild camp in a van, and this is accepted as how it is by the locals. The area is sparsely populated and therefore you'll not be on anyones doorstep making them feel uneasy. 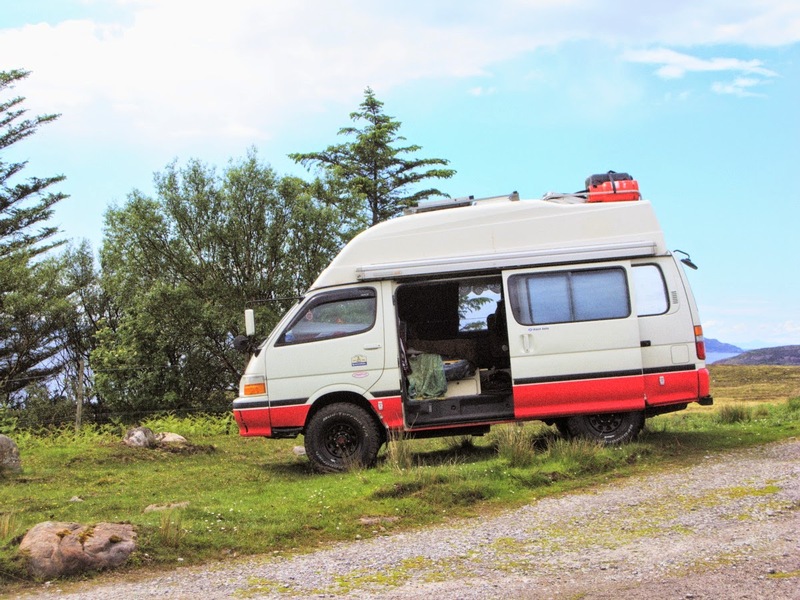 Every wild camper is still supporting the local economy through buying fuel, getting supplies from the small shops, and going for a coffee or a few pints and a meal out. This isn't a guide to specific camping spots, my intention is just to give you an idea of what you might find in the area, and how you can do it making the most of your freedom, being a little more self-sufficient. 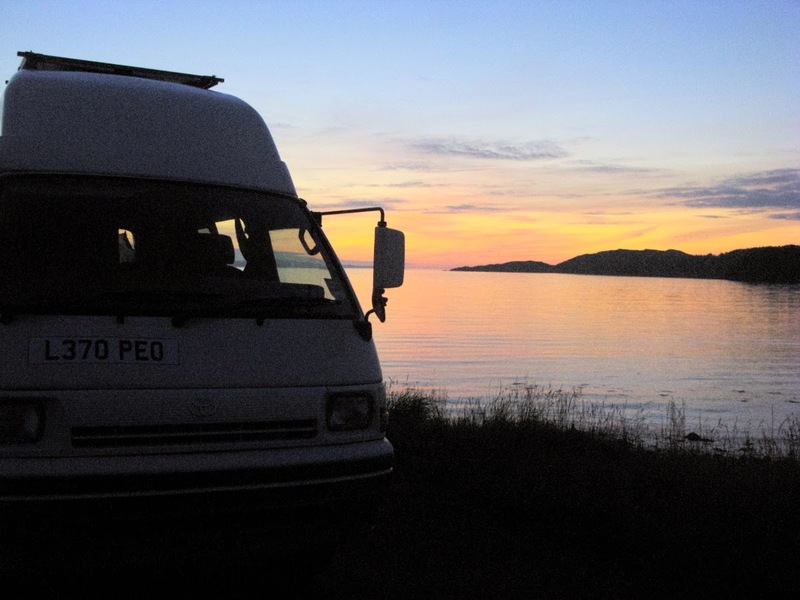 I think that discovering places for yourself is a big part of the adventure of travelling in a van, so no maps, no directions - maybe I'll see some of you out there.